These recordings were actually Starday masters. 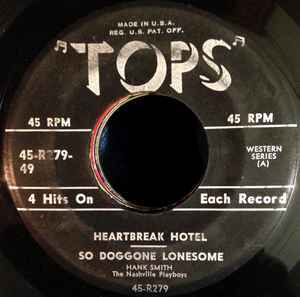 Heartbreak Hotel is by George Jones. Blue Suede Shoes is by Leon Payne.